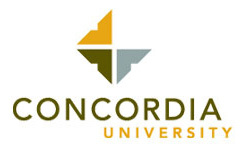 Rick Roethke, CEO of Barrington Investment Company, LLC was recently introduced as a member of the School of Business Dean’s Advisory Board at Concordia University in Irvine, California. Prior to that time, Rick had worked with the university’s founding Business School Dean to develop the school’s MBA & entrepreneurship programs, and he subsequently developed and taught the school’s capstone entrepreneurship class. Read more here.